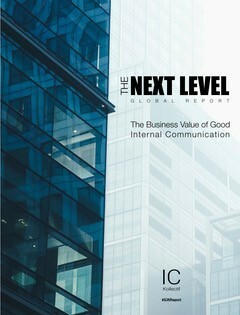 Last month's global research report, The Next Level, shed light on the trends, challenges and opportunities of internal communications today. The report was researched and developed by global internal communications experts, IC Kollectif. SnapComms is a key sponsor of the report, and was pleased to be able to interview Lise Michaud, CEO of IC Kollectif, about the inspiration behind the report, why it's so essential for practitioners and what surprises she encountered. SnapComms: What was your objective in creating the report? 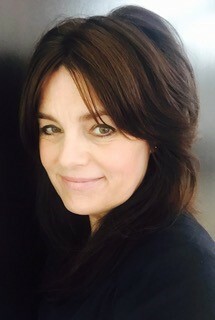 Lise: We hear a lot about Internal Communications (IC) practitioners struggling to be seen as trusted advisers and how it can be so difficult to get the buy-in from senior management, especially in organizations where senior leadership doesn’t understand the value of internal communication. This, of course, is not the case everywhere, and we can learn from those who are leading the way. The main objective is to show how strategic internal communication brings value to organizations, what is needed to make this happen, in order to help communication professionals at all levels contribute to business results. And there hasn't really been a report of this type produced before. It’s the first of its kind at different levels. 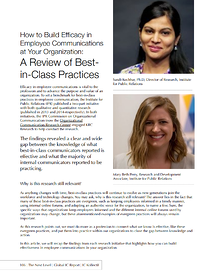 The report is based on interviews with 33 in-house practitioners from 25 countries on all continents, contributions from several teachers and researchers, a global survey, testimonials from C-suite leaders, and a review of published surveys and research reports. It's the first to bring three key actors together – business leaders, in-house practitioners and academia, It's also the first to examine the following topics, and more, into one single global publication: how business leaders perceive internal communication and what they want from IC, how practitioners actually make the case for the value of IC in their own companies, and how IC professionals can better position themselves as trusted advisers and key business enablers. The report not only provides solid advice and insights, but also a number of relevant resources and frameworks to help build credibility and trust in the eyes of C-suite leaders. What are some of the critical factors for IC practitioners to bring business value? One of the critical factors we read throughout the report is the importance to be a businessperson with an expertise in communication. Besides the expected communication skills, understanding the business is absolutely fundamental, and a section of the report is dedicated to this topic. Communication professionals and executives explain why business acumen is now an imperative for practitioners, and this at all levels, including at the entry level. Among the many challenges that practitioners are facing is the difficulty to be perceived as trusted advisers and getting the buy-in from senior management. As many in-house practitioners noted, if all we can discuss is communication techniques and tactics, our value to the business is very limited. Therefore, leadership won’t turn to us for strategic advice, but only when they need something crafted and usually reactively. A second factor is the ability to deliver difficult counsel. Being able to do this really helps build credibility and trust. A third factor is being able to translate complex business strategy into simple concepts. This means making corporate strategy clear so that each employee knows the what, the why and the how. Is your observation from preparing the report that this is a bit of a work in progress, that IC practitioners are needing to lift their game, or is it something which is happening now? I think it's happening more and more. Communication professionals who contributed to the report are already working at that level and they share how they do this. Leading brands understand that internal communication is an important source of competitive advantage for companies. Practitioners in those companies are expected to contribute to business results, and they do. Many companies went through or are currently facing major transformations. Some had to reinvent their business model. Many companies came to realize that internal communication had to be part of the solution. In-house practitioners who contributed to the report and faced such challenges explain the role of IC and how they were part of the solution. That said, it is still work in progress for many communication professionals. We know from survey results and blog posts what the complaints and challenges are. Most of those have been the same for years. This report focuses on finding ways to help practitioners to overcome those challenges. This is why this report is so important. It is important because it talks about solutions. It provides relevant insights, advice and resources to help practitioners lift their game. Are there any specific tactics which people have used to overcome those challenges, perhaps in measuring the effectiveness of internal communications? This seems to be a question which comes up regularly. We did ask practitioners how they demonstrate the value of their work to senior management. As expected, everyone agreed that measurement was essential. 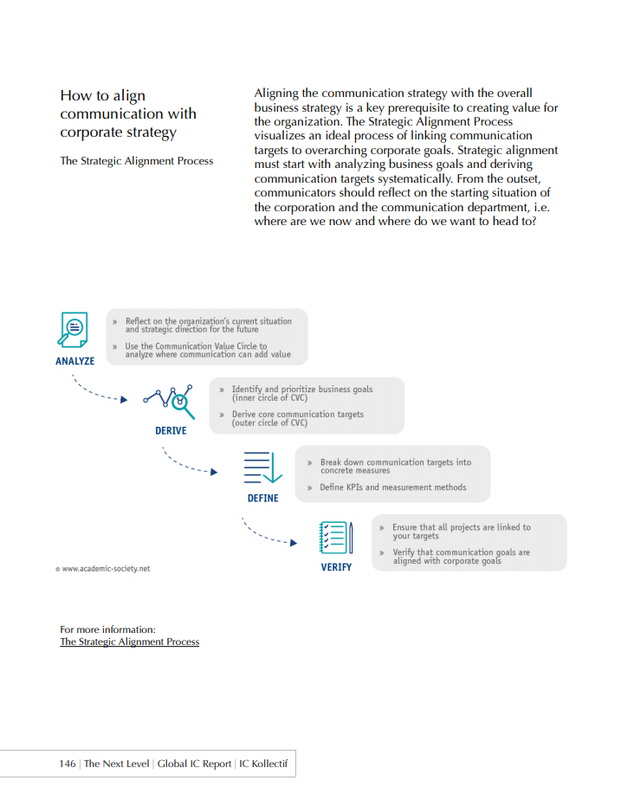 They made it clear that objectives needed to be linked to business objectives and the overall corporate strategy. It means first and above putting tactics to the service of strategy. All agreed that you cannot prove value based on outputs only, such as the number of likes and shares. You really need to show how your work has brought behavior change, for instance, what people are thinking and what people are doing. The report provides examples of questions that practitioners should be able to answer to see if they've reached their goal, such as: Are our messages going through? How well do people understand the organization's priorities? Are people acting on them? Is there an impact on the company and its business goals? Of course, the questions will depend on what you're trying to achieve. Some of the tools mentioned include surveys, opinion polls, focus groups, user generated content, enterprise social engagement, the Integrated Evaluation Framework, developed by the International association for the measurement and evaluation of communication. 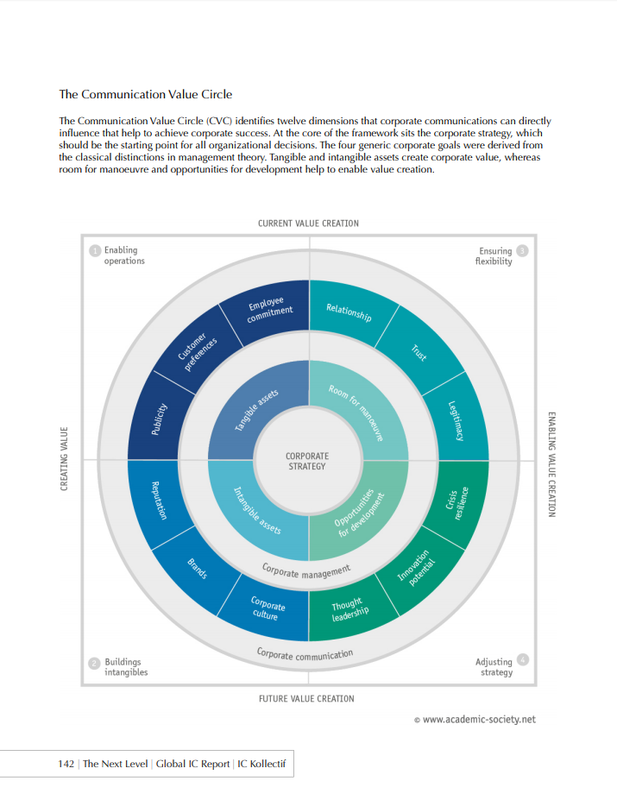 Practitioners also have a new tool specifically designed to measure internal communication: The IC Standards, developed by a group of researchers and IC practitioners. The 22 IC standards are presented in detail in the report. Contributors said that they look for metrics that will really show impact because this is what matters to business leaders. They try to see how communication has impacted for instance greater productivity, safety, lower voluntary attrition rates, internal reputation, etc. They use different means to share the results with senior management, such as monthly and quarterly reports, dashboards and scorecards, and often the same tools used by other departments, such as finance, human resources or marketing. Did anything surprise you in the report findings as you were compiling it? Not particularly in the findings themselves. However, I was really pleasantly surprised by the willingness of in-house practitioners to take part in this project, to speak openly about what the practice looks like at their company, to raise issues that they're facing, and to talk not only about what works well but what needs improvement too. I'm also pleased that twenty different industries are represented in the report. Absolutely, having something so broad which canvasses such a large group is definitely worthwhile and quite unique. So, what were some of the insights around getting senior management buy-in? 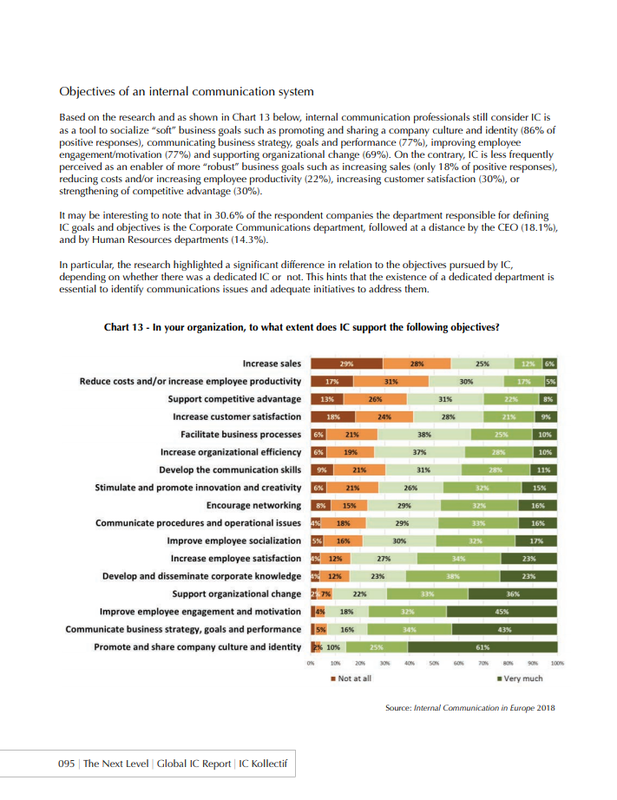 The findings show that practitioners must understand the function of communication at their company and their role in the team. This may sound obvious, but it seems to be lacking in some organizations. Research tells us that many practitioners are unclear about their role and the role of IC, and the same holds true for senior management who often don't understand the role of IC. There should be a mutual understanding of the role and function between practitioners and senior management and even management leaders at all levels. It is also really important for practitioners to be able to explain their contribution to the organization as opposed to just talking about what they do in terms of tactics. The report features the new Global Capability Framework that has been designed to do this, among other things. Another factor to get senior management buy-in is business acumen. It is now a must. It’s a critical element to get credibility and trust in the eyes of senior leaders. And of course, practitioners must be able to demonstrate the impact of IC through measurement. 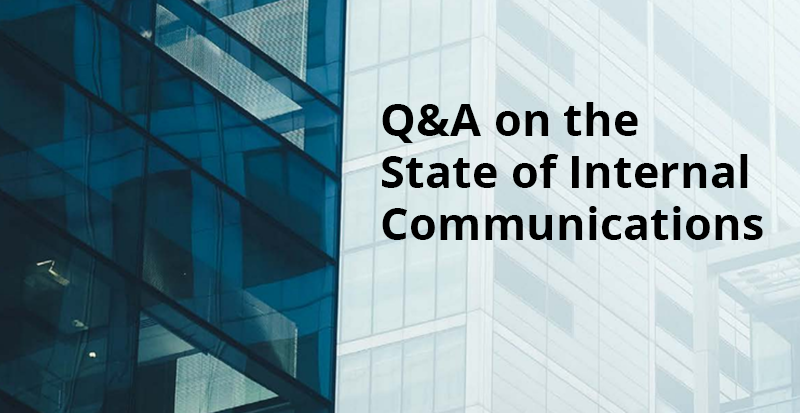 Having prepared the report and read through it hundreds of times, what's your feelings on the future of internal communications? Is the future bright? Do you see any big game changes coming in the near future? CEOs from leading companies understand that good internal communication is a key factor to its success. According to recruiters, the demand to have IC professionals 'at the table' has never been greater for those with a high business IQ and the ability to link the work they do to achieving business results. But too many communications professionals still lack the critical business knowledge that allows them to communicate on the same strategic levels with senior management. The future of internal communication will be bright in organizations where it will contribute to strategic management. For practitioners, this means having the right skills and capabilities to help solve business problems and drive business value, being able to understand the business environment and apply the right strategies to drive the right outcomes. Are there any other points that you wanted to mention about the report – other than that everyone should read it? The Next Level is of interest to both practitioners who are already leading the way and to those still struggling for a license to operate and be perceived as strategic advisers. I hope people will make time to read it because it covers, in depth, many different topics and issues of importance dealing with today's challenges and future needs. And more importantly, it goes beyond, by offering solutions. In conclusion, I want to take this opportunity to acknowledge the support of our partner and sponsors, and to thank SnapComms for being the Platinum Sponsor of this global report.